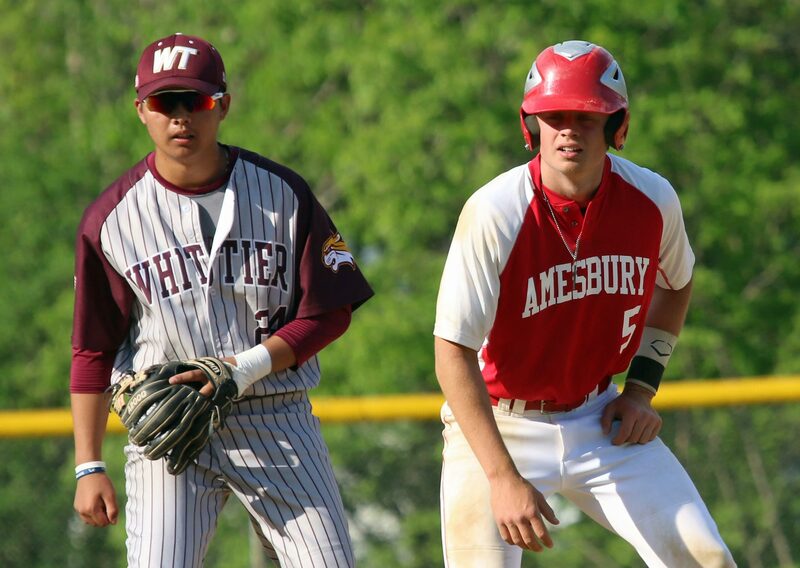 (Amesbury MA) In a season of painful losses, one more was added to Amesbury’s list as they were edged by Whittier, 4-3, on a sunny Wednesday afternoon. The Wildcats (13-2) trailed, 3-2, after four innings but scratched out runs in the 5th and then the 7th to take home a victory. 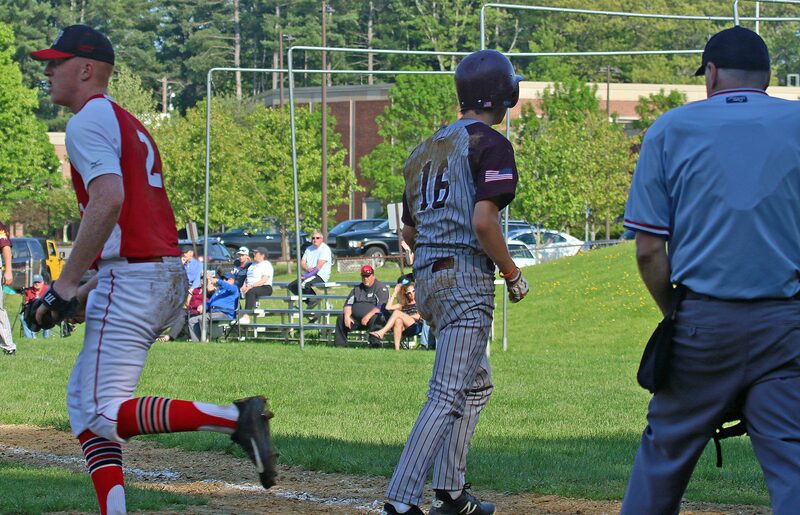 Junior Josh O’Brien’s single to right in the seventh delivered Kyle Eddy with the eventual game winner. 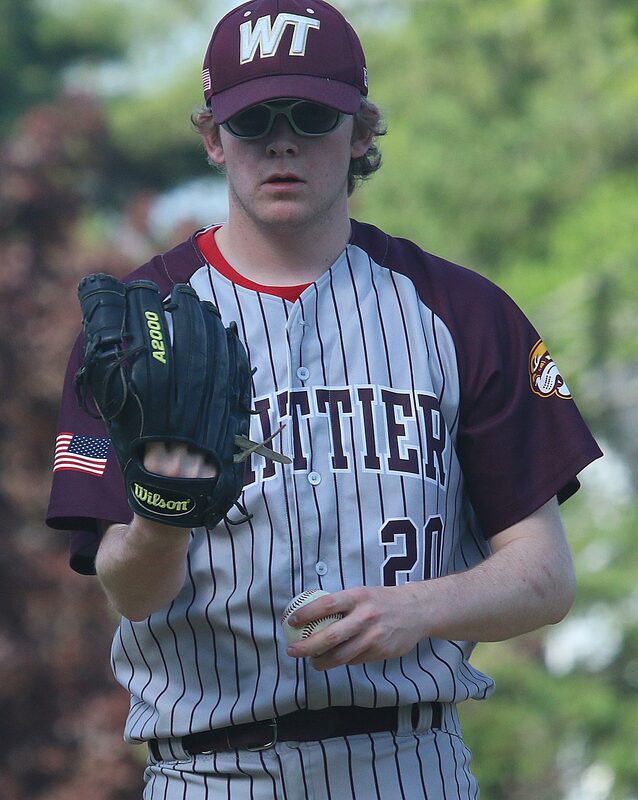 Reliever Matt Michel escaped Amesbury scoring threats in the final two innings. 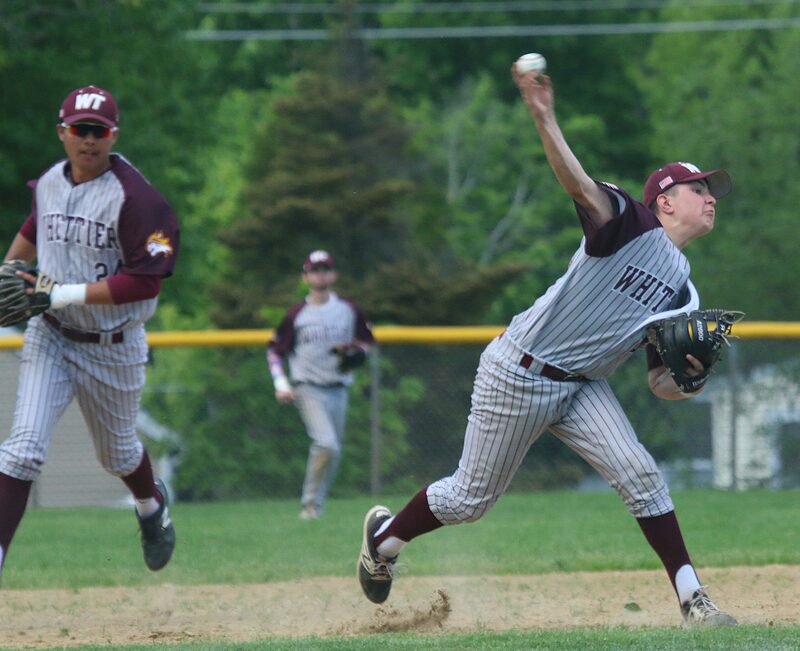 Key performer for Whittier was reliever Matt Michel. 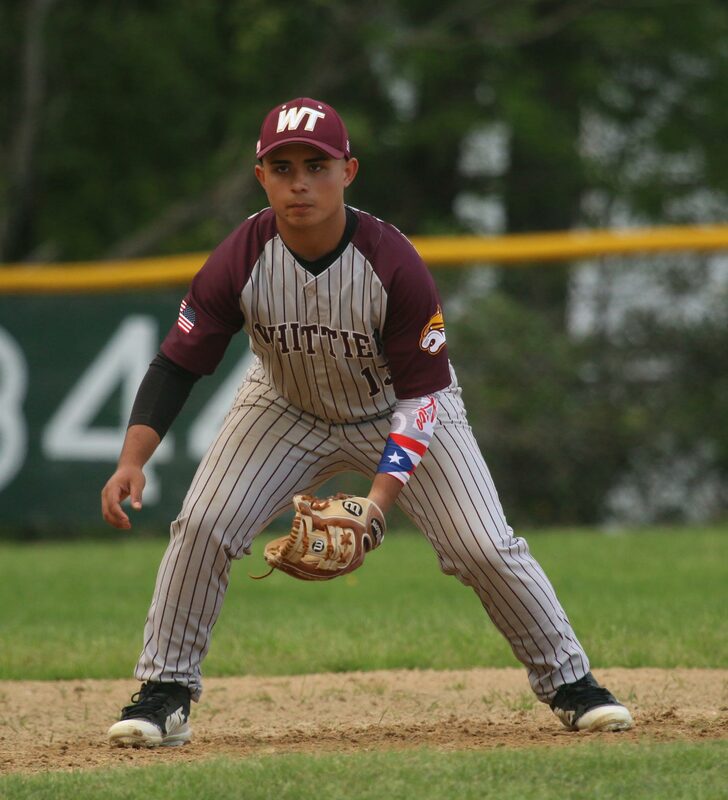 The Wildcats junior was brought into a bases-loaded, one-out situation in the sixth. 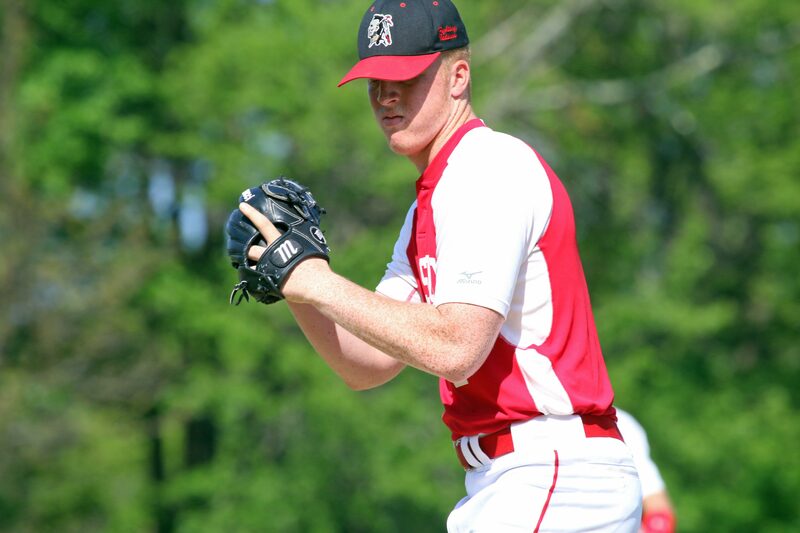 He responded by getting a strike out (Derek Doherty) and a fly out (Jon LaVerde). 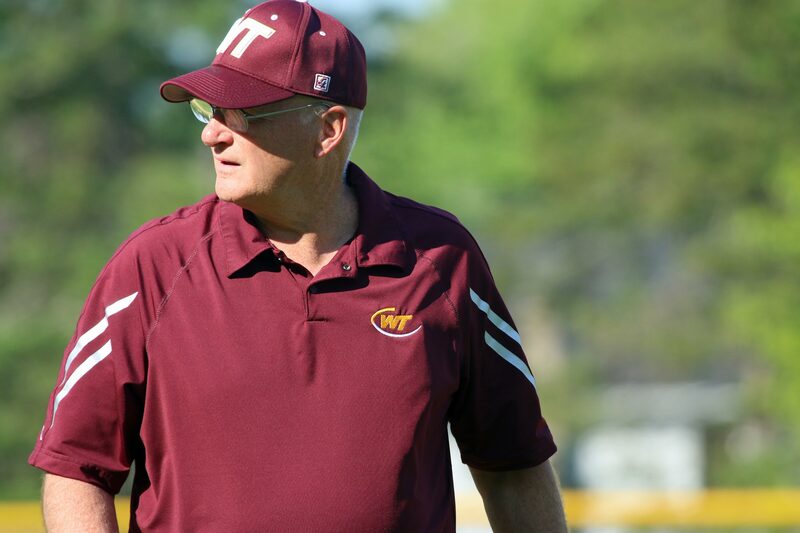 “We had them on the ropes with the bases loaded (in the 6th inning) and I thought with all the things that had happened to us we were finally going to catch a break, but it didn’t happen,” explained Coach Brierley. 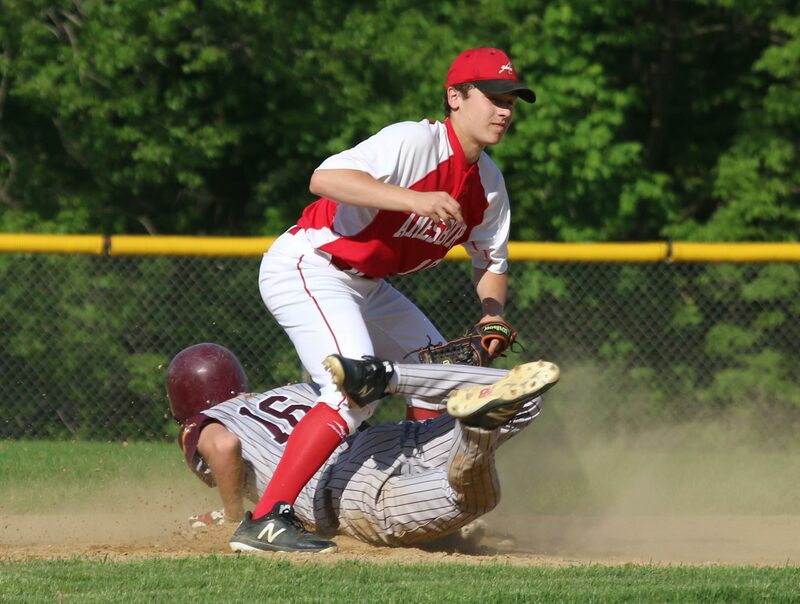 The Indians (6-11) had Blake Bennett on second with one out in the final inning but again Matt Michel found a way out. 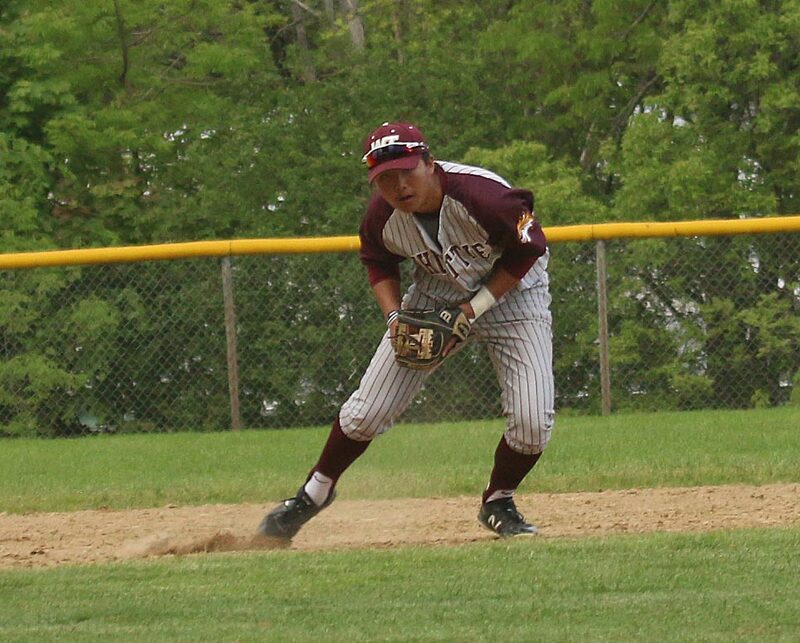 He induced infield outs from Derek Beaupre and Tucker Molin. Shortstop Josh O’Brien handled the final chance. He also had the big hit in the top of the seventh. 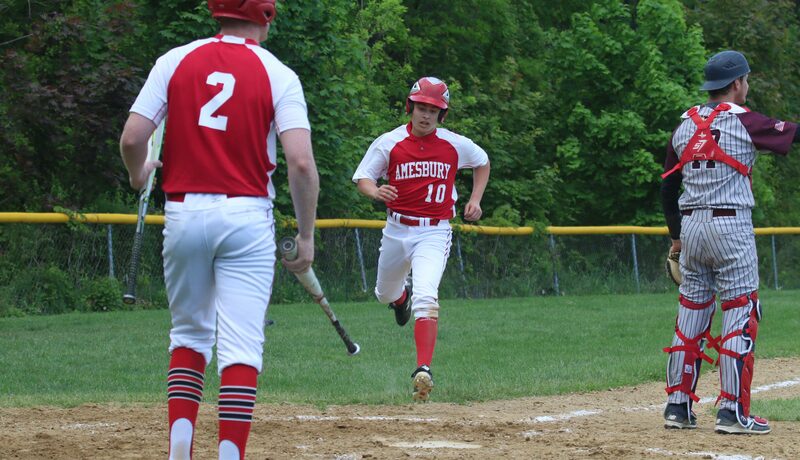 “Josh is our best hitter,” reported Coach Boland. 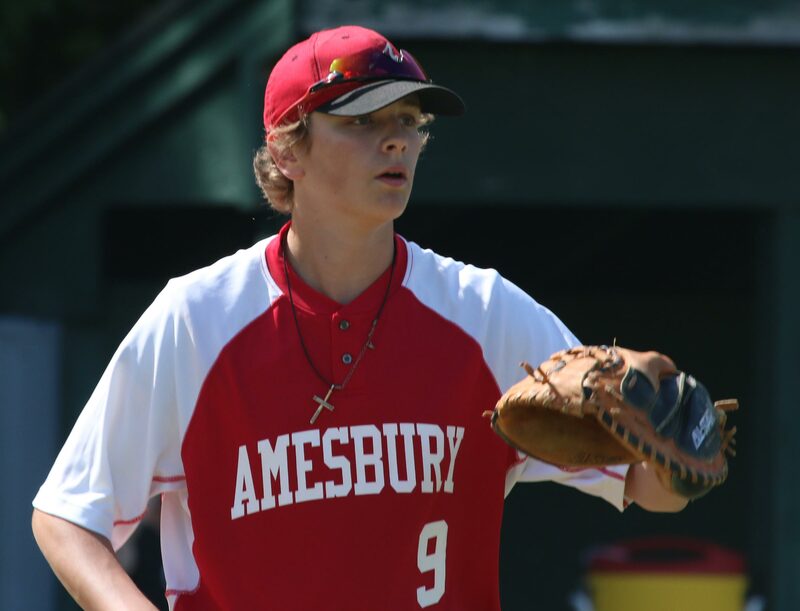 Amesbury starter Blake Bennett allowed only one hit (Matt Michel) in six innings of pitching but had seven walks. Three of those walks turned into runs. The Wildcats scored two runs in the opening frame off of three walks and two wild pitches. 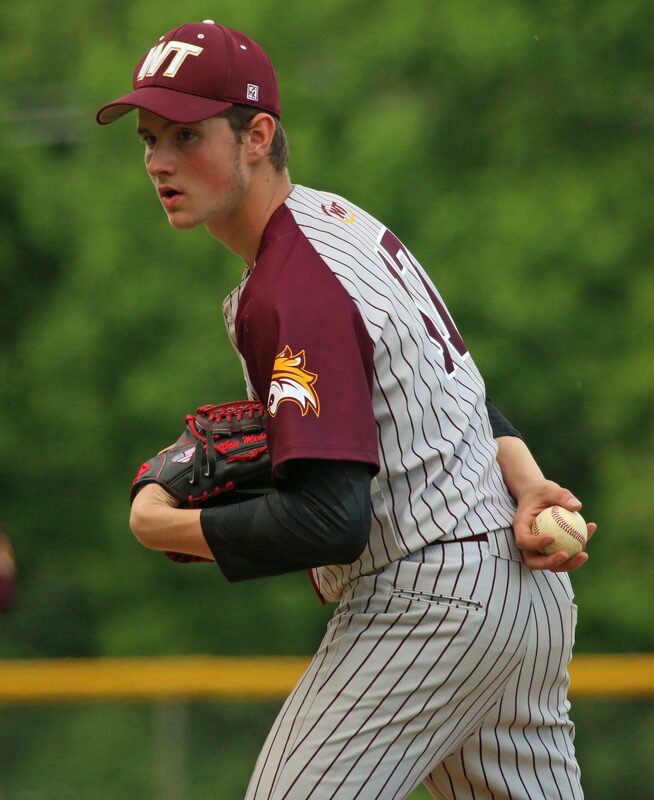 What kept this game close was that Blake could not only pitch his way into trouble, he could also pitch his way out of it. He had seven strikeouts. The most painful run for the Indians was probably in the fifth when the visitors tied the score. 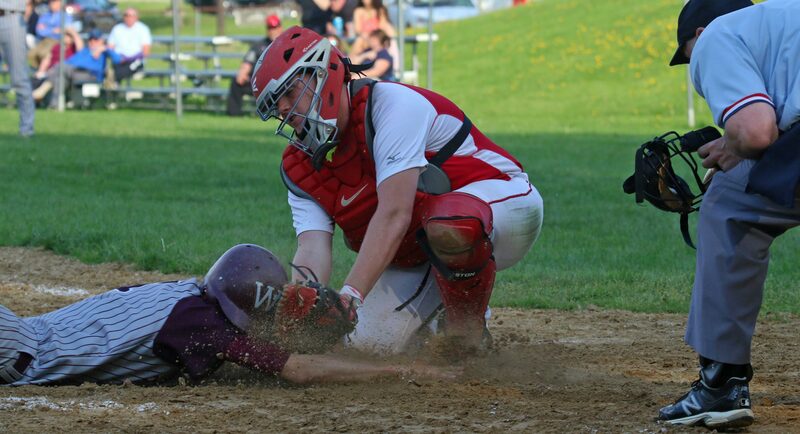 In that frame Blake had Will Carpenter struck out but catcher Derek Beaupre couldn’t handle the pitch. Will reached first and Kevin Eddy scored. In a low-scoring game those plays are crucial to the outcome. The Wildcats ran into two outs on the bases. 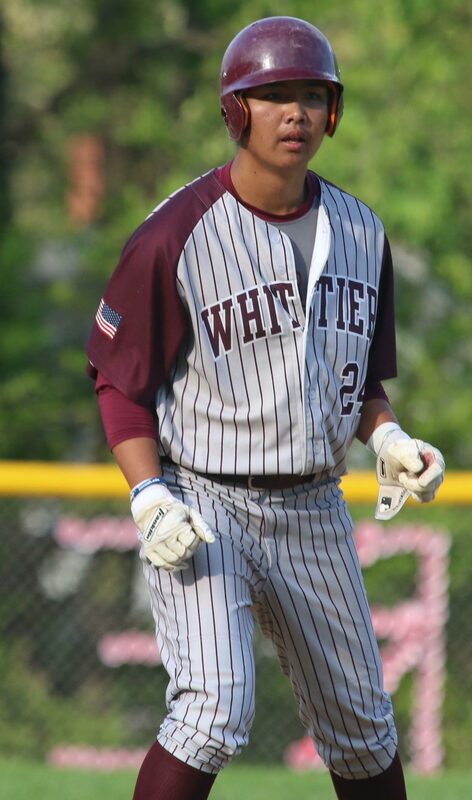 In the Whittier 5th, John Schwartz left too early from third on a fly ball. 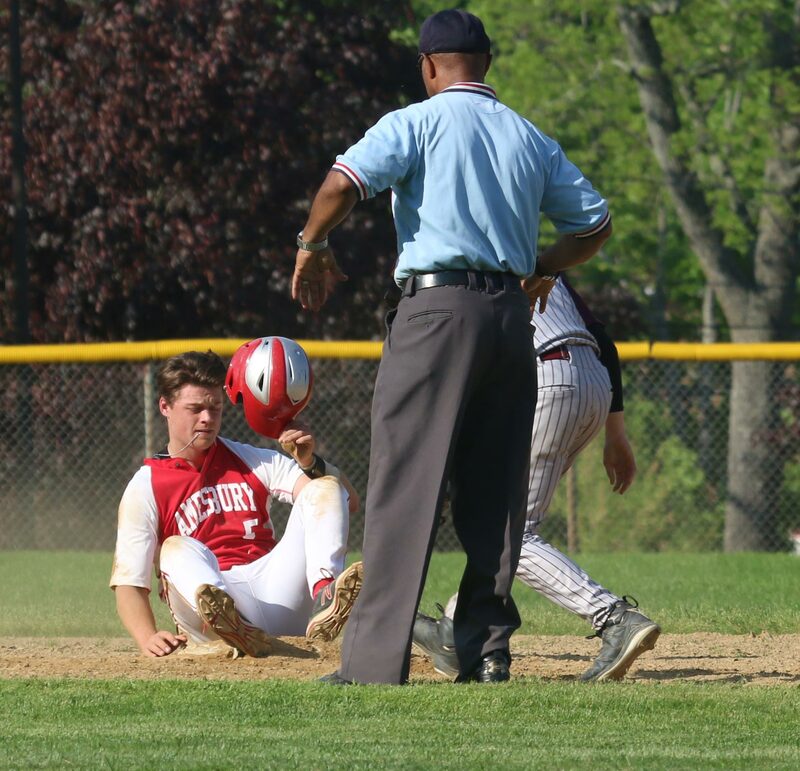 In the final inning, Brock Roy attempted to score from second on Josh O’Brien’s hit, but Blake Bennett’s relay nailed him at home. 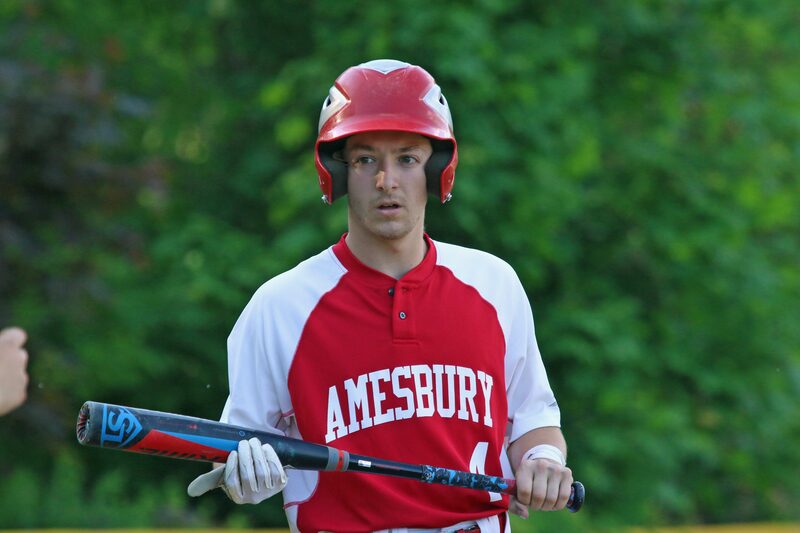 “Amesbury made a great play to get that second runner,” said Coach Boland. Blake, Logan Burrill, and Tom Flanagan had RBIs for the Indians. 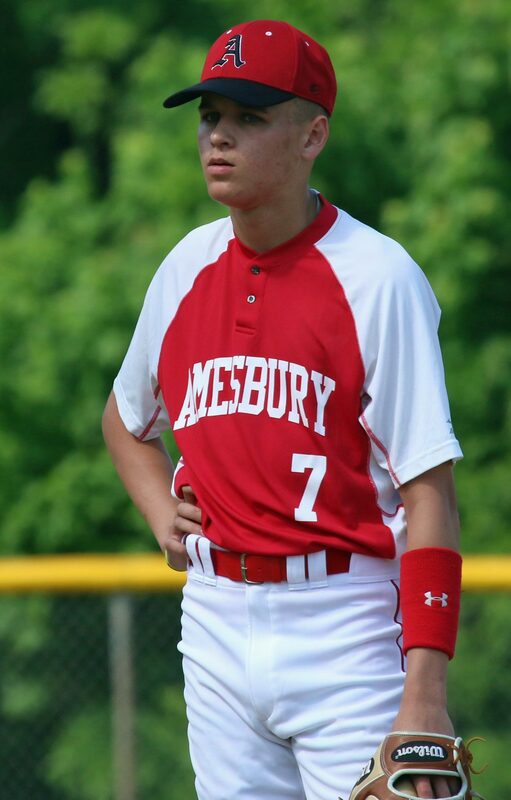 Logan Burrill had three hits. In the bottom of the 7th Logan nearly tied the game with a fly to deep center. “Twenty feet to the left and that’s a homer,” recalled Coach Brierley. 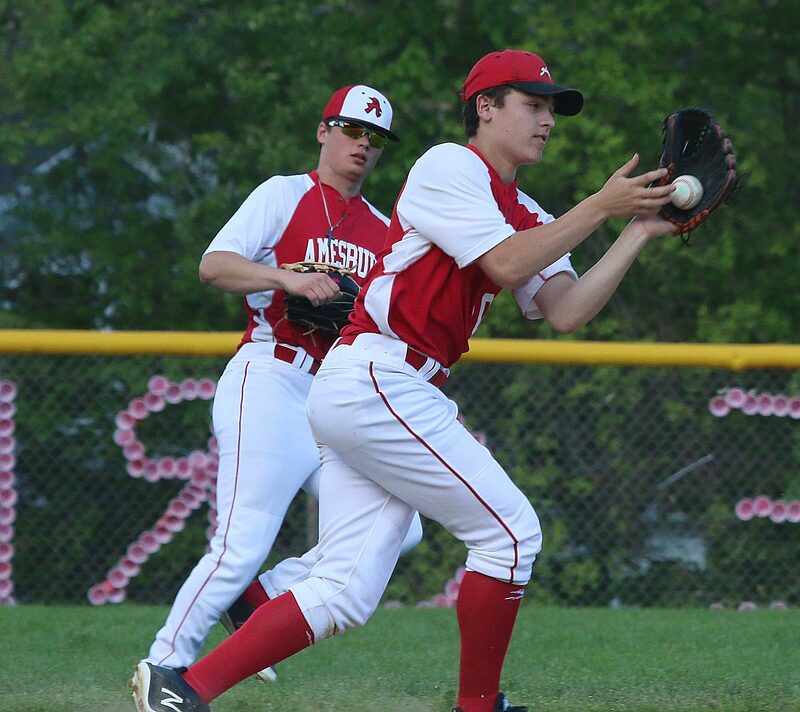 Freshman Jon LaVerde scored two runs for AHS while sophomore Tucker Molin scored the other one. Leadoff batter Kyle Eddy and second batter Brock Roy totaled six walks between them. Kyle scored three times and Brock once. 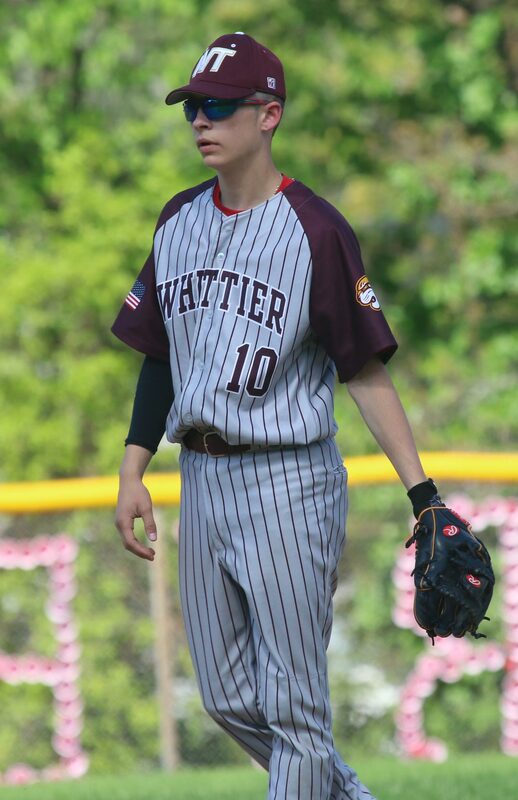 Whittier starter Will Carpenter came into today’s game with a 13-0 record as a starter. That win streak was in serious jeopardy in a 3-3 game that he left in the sixth inning with the bases loaded. Matt Michel, however, came on to save the day for Will’s streak. 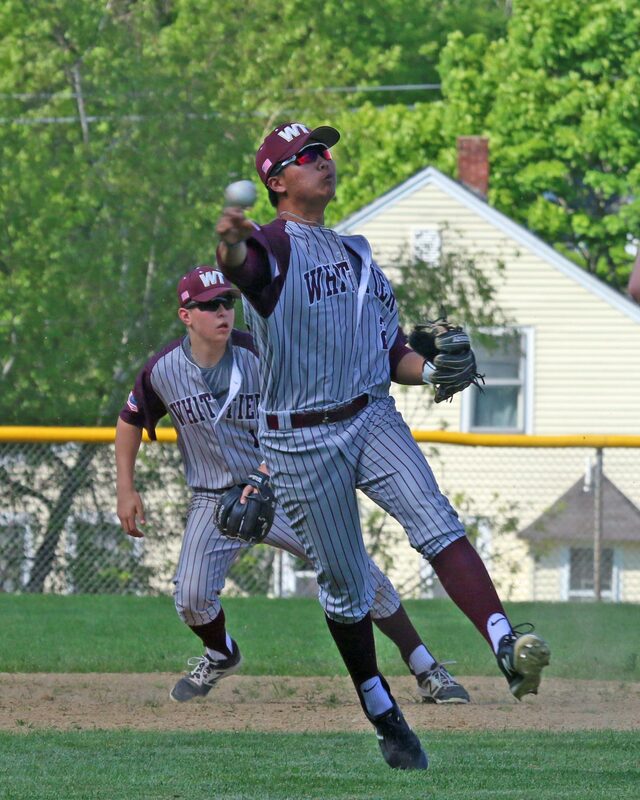 The Division two Wildcats have won thirteen of their last fourteen games. They are 9-1 in the Commonwealth Athletic Conference. The weather was terrific. The bugs that usually are on hand were apparently feeding elsewhere. It was surely a first for me: Coach Boland introduced me to the team after the game and I was applauded for covering the game.